Abuja — A Senior Advocate of Nigeria (SAN), Prof. Yemi Akinseye-George, has called on the Corruption and Financial Crimes Cases Trial Monitoring Committee (COTRIMCO) to bring to the public domain the list of high profile cases it is monitoring. Akinseye-George said the call became necessary owing to the public outcry against some members of COTRIMCO, who are said to be counsel to some of the high profile defendants. He was speaking at a stakeholders' conference to Review Implementation of the Administration of Criminal Justice Act (ACJA) 2015, organised by Centre for Socio-Legal Studies (CSLS) in Abuja. COTRIMCO was recently inaugurated by the Chief Justice of Nigeria (CJN), Justice Walter Onnoghen, to serve as a check on the excesses of those described as bad eggs among the judges. 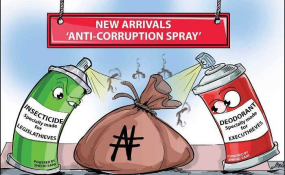 However, in his welcome address, Akinseye-George who also doubled as President of CSLS, said: "The NJC monitoring committee on high profile corruption cases should make public the list of high profile corruption cases they are monitoring. The CJN referred to a list of over one thousand corruption cases. "The committee now headed by Justice Galadima should urgently make its modus operandi public. There have been strident calls by observers that some members of the committee cannot be expected to monitor cases they are defending in courts. This is a major issue which must be addressed urgently." The president also called on civil society organisations and the media to follow closely the activities of the committee as well as the extent of compliance by heads of courts with the CJN's directives. He noted that the ACJA and the Administration of Criminal Justice Law (ACJL) in the last two years have had positive impact on justice delivery in the country, and urged governments and the NJC to "deliberately invest more in improving the welfare of judges, investigators and prosecutors in order to make them less vulnerable to the corrupting influence of high profile defendants." While urging the Supreme Court to sustain the progress made with the ACJA as relating to prohibition of stay of proceedings in criminal trial, with particular reference to Olisa Metuh v. FRN, the senior advocate called for the introduction of new practice directions to address loopholes so far observed in the implementation of the ACJA. He also called for attention to be focused on activities of investigators, prosecutors and witnesses, adding that "no matter how well-constituted the specialised courts are, they cannot achieve much without the compliment of effective prosecutors and defence lawyers. "A situation where prosecutors are not forthcoming with their witnesses or defence lawyers engaged in deliberate delay tactics cannot augur well for speedy dispensation of justice." Other speakers at the conference however, called for adequate funding of the implementation of the provisions of the ACJA.